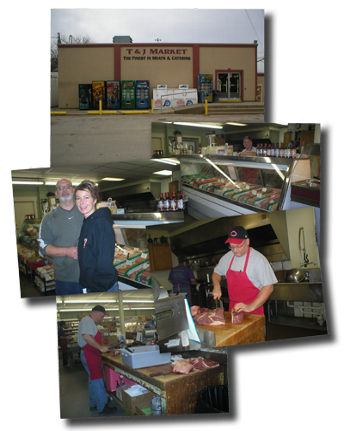 T & J Market is located at the intersections of State routes 821 & 313 in Derwent, Ohio. The market is renowned for the finest meats and catering. The owners, Tim & Cindy Beros have continued the tradition of establishing a fine quality niche that caters and “meats” all of their customers needs. For This Weeks Specials call Ray the Butcher!